So, you’ve read frequently asked questions about credit scores, and you also understand ways your credit score affects what you pay for credit. But what do you do if your overall credit health isn’t, well, so healthy. No worries! 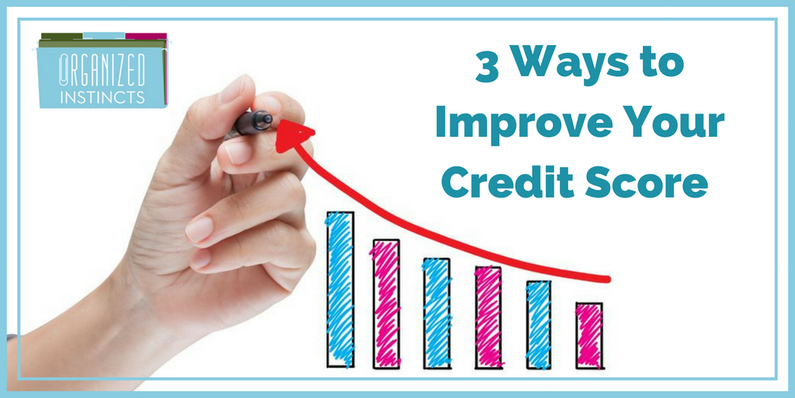 Here are 3 proven ways to improve your credit score. Unknown Accounts – Also another sign of identity theft. Or, it could indicate someone you know opening an account in your name without your knowledge or permission. Note: If you discover your credit report contains errors, you can dispute that information with the credit reporting agency. Here are links to the top 3: Experian; TransUnion; Equifax. Your payment history is a critical component in your credit score. We’ve said it once, we’ll say it again: pay your bills on time every month – all your bills, not just the mortgage and the car payment. Even utility bills, insurance premiums, and phone bills impact your credit score. Set payment reminders. Use online bill pay options. Hire a Money Manager. Do whatever you have to do to make sure those payments reach their destination on or before their due date, every billing cycle. Your credit utilization ratio, or how much of your available credit you’re using on any given day, is one of the most important factors in determining your credit health. Aim to keep your credit card balances less than 30% of their credit limits. Even if you’re paying off your balance in full every month – if your balance is more than 30% of your available credit, there’s likely to be a negative impact on your credit score when the balance is high. When it comes to rebuilding or improving your credit, time is on your side. Yes, even for those who have experienced bankruptcy or foreclosure. However, there are no quick fixes. But, as you’ve just read, there are proven ways to improve your credit score. All you need is the know-how (ways to improve your credit), patience (to implement the necessary actions over time), and discipline to use your credit responsibly. Tune in next time for some of the most common myths about your credit score and credit report.